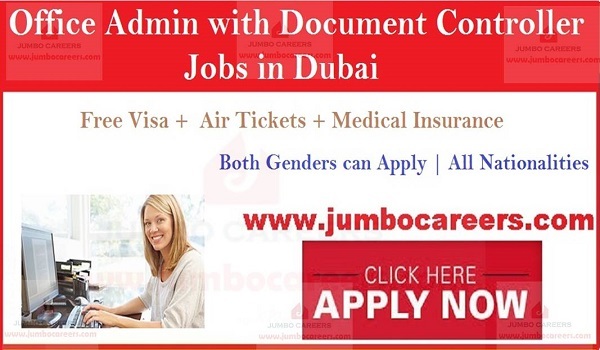 A leading financial services company in Dubai is urgently hiring Office Admin with Document Controllers. Its a free and direct job by the company. Office Admin with document Controller experience. Ideal candidate needs to undertake administrative tasks, should be competent in prioritizing and working with little supervision. How to Apply for latest office jobs in Dubai 2019?